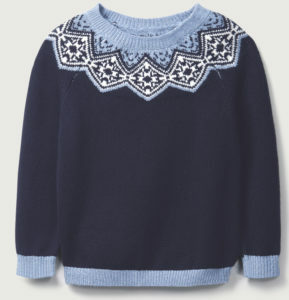 This fair isle knitted jumper has a ribbed round neck, hem and cuffs and button fastenings at the shoulder. This super soft red knit features pom-pom-embellished antlers, a pom-pom nose and an appliqué stripe scarf. This long-sleeved sweatshirt is brilliantly cosy piece for Christmas Day, with ribbing around the neckline, cuffs and hem. This cotton white fawn jumper from Hatley is a soft and stylish choice, with extra sequins added to the neckline for a bit of festive glitz. 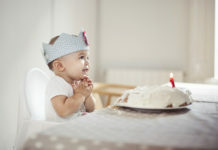 This sweet cardigan features a festive goose and bird appliqué and is made from medium-knit organic cotton. 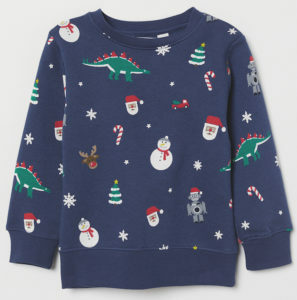 A great Christmas gift for little boys, this thick knitted jumper has a beautiful snowy design that’s perfect for the cold winter months. 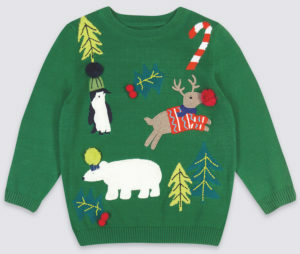 We adore this brilliantly festive jumper, which has been accented with pom-poms, embroidery and 3D fur – it’s sure to steal the show at any Christmas celebration! Crafted from the softest wool, we particularly love the penguin’s pom pom hat! 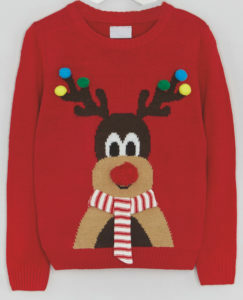 With snowflakes, Christmas trees and reindeers, this red and white jumper is perfect for the festive period. 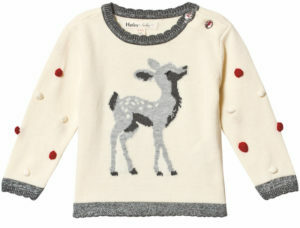 This fleece jumper from Stella McCartney Kids is a great example of the brand’s fun approach to dressing little ones.